Running with a STROLLER--at a blistering 6:30 pace! At the Genesis Battlegreen Run in Lexington, MA. 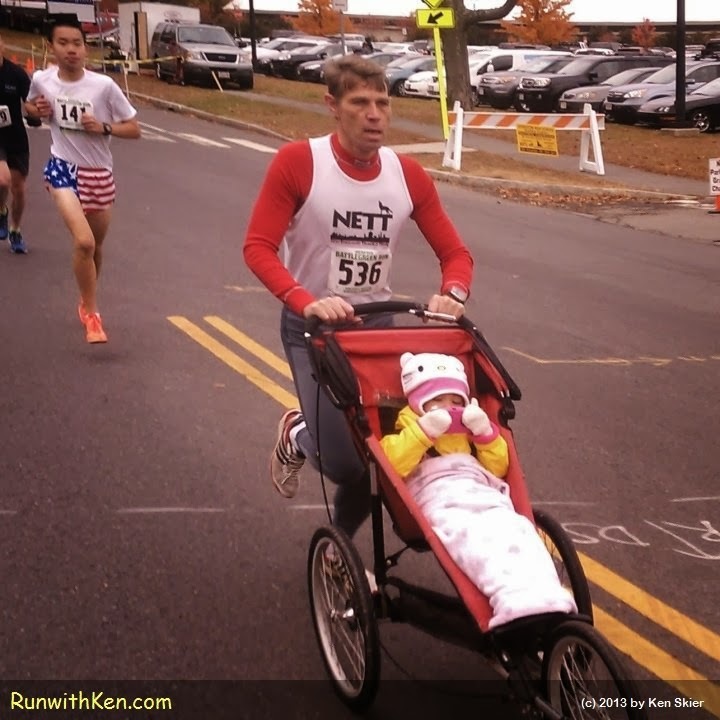 Despite that stroller, he finished 10th out of more than 200 runners!